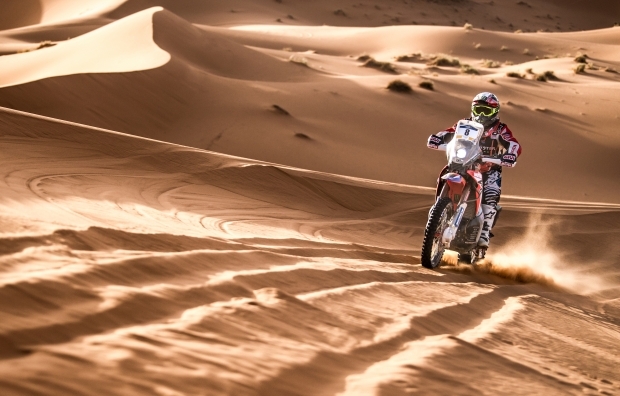 A tricky yet positive day for Monster Energy Honda Team on the penultimate day of the Merzouga Rally. 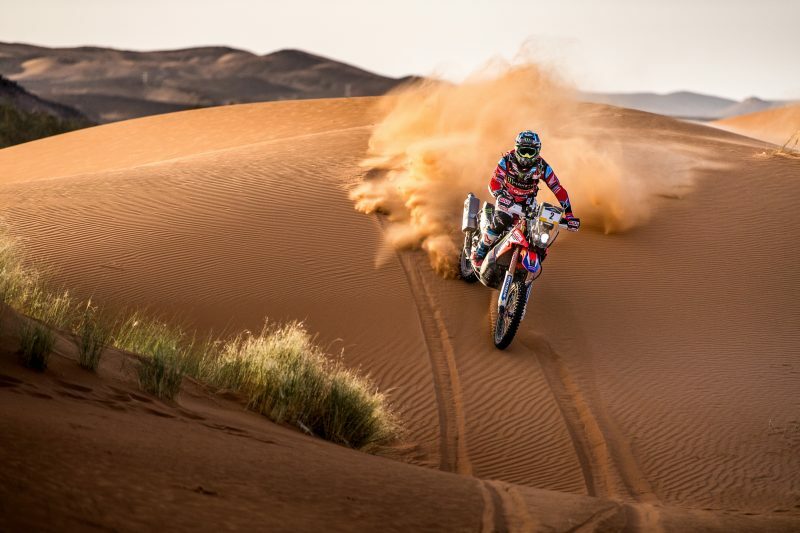 Joan Barreda continues to command the race overall, while Kevin Benavides performed well on the day, finishing the stage in first place and confirming his second place in the general standings. 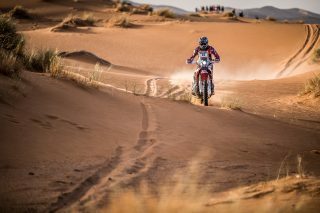 With just the final day of the Merzouga Rally still to run, Joan Barreda is in a solid position to claim overall victory tomorrow. Today saw the fourth stage – the second leg of the marathon stage – in which riders were unable to receive mechanical assistance until they arrived back at the Tombouctou Hotel camp once the 372-kilometre stage had been completed. 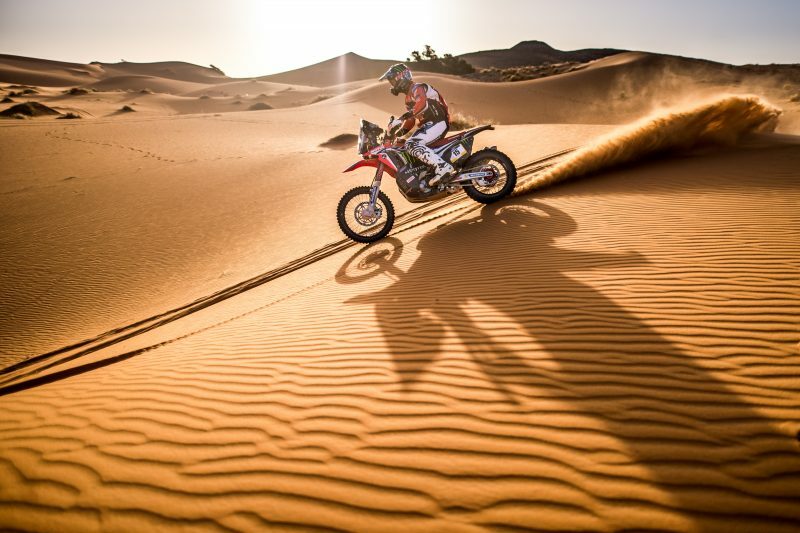 The stage served up a combination of dunes, sands, stony ground and trial-like areas. On the way riders had to tackle dust-filled Moroccan track and a final section which caused many riders serious navigation problems with the main group riding around in circles in search of an elusive waypoint. This afternoon race authorities decided to cancel the final section of the course. Joan Barreda, starting out from first place, was eventually caught by Kevin Benavides, who battled hard throughout the day. 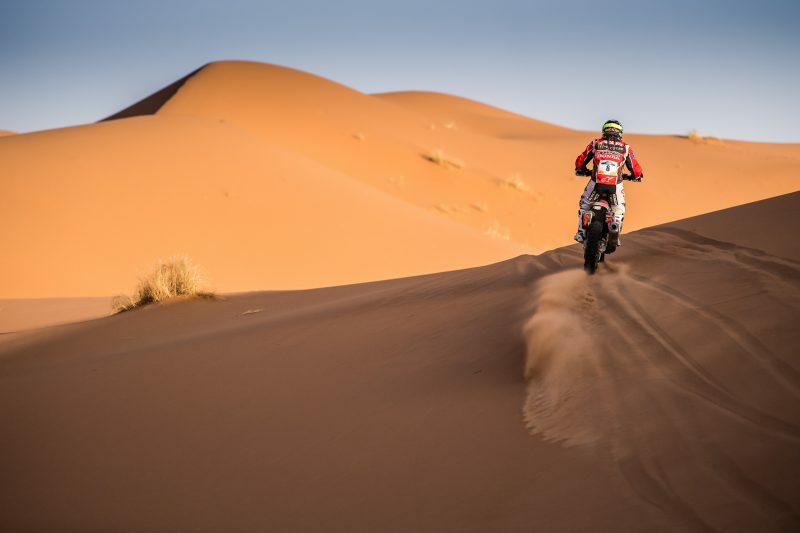 The pair rode virtually together until the final waypoint where they were reached by another group of competitors including Brabec and Cornejo. 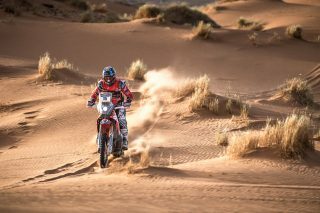 Barreda finished the day eighth while Benavides was the fastest rider winning his third stage of the rally so far. 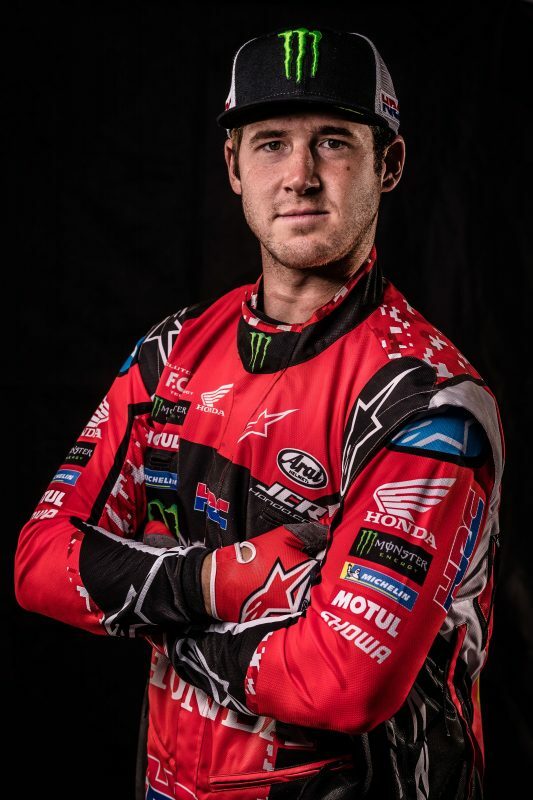 American Ricky Brabec turned out his best performance to date with a second place finish. 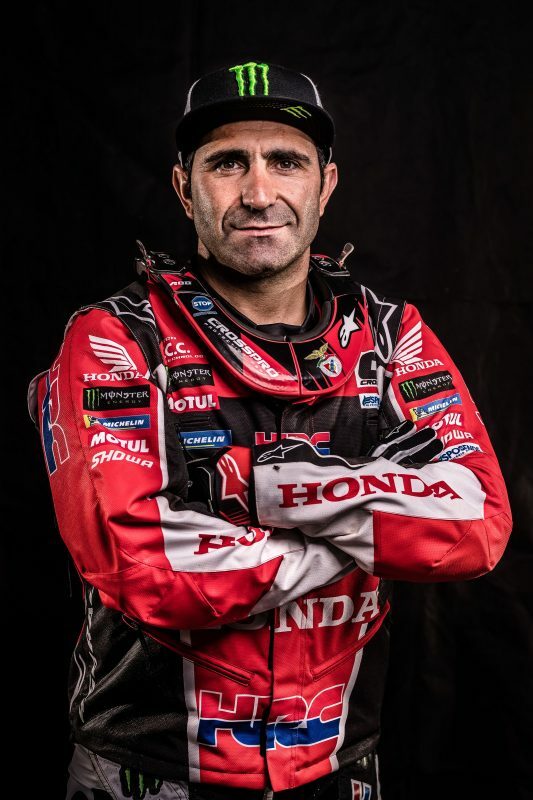 Paulo Gonçalves, who started from behind was able to make up time to finish seventh on the day. José Ignacio Cornejo’s stage was inconvenienced by a navigation error which saw him finish seventeenth. 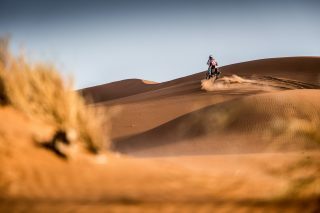 The final stage of this Merzouga Rally will have a motocross style start in line before completing a full loop in the Erg Chebbi. 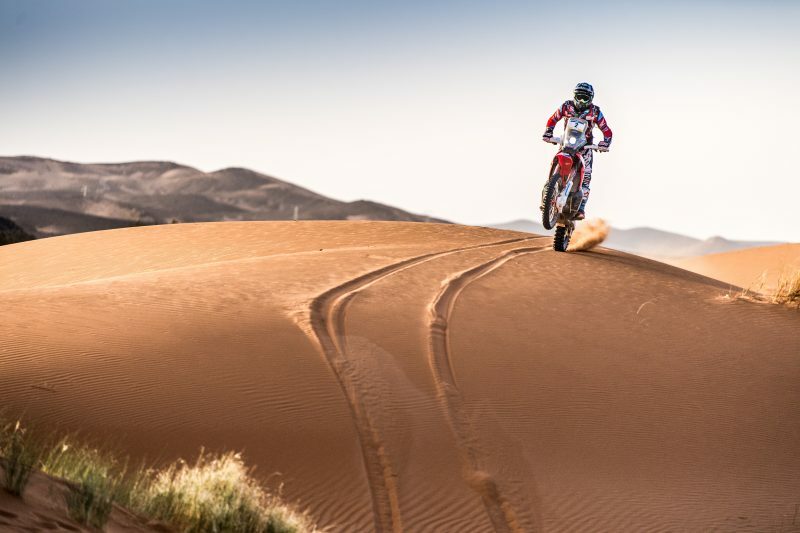 The motorcycle riders will start out after the buggies and quads on a 206.71-kilometre stage, 100% of which will be fought out in the dunes. The overall balance of this marathon stage is not bad. Yesterday I opened the track all the way and nobody was able to reach me physically. I had to navigate alone so that was good. Today I started from behind, caught the riders in front and opened the track for half the stage until the end. This second part of the marathon stage was quite complicated, with sand and dunes and even rocks, with some parts like a trial ride, where we were forced to push the bike. It was very tough physically. 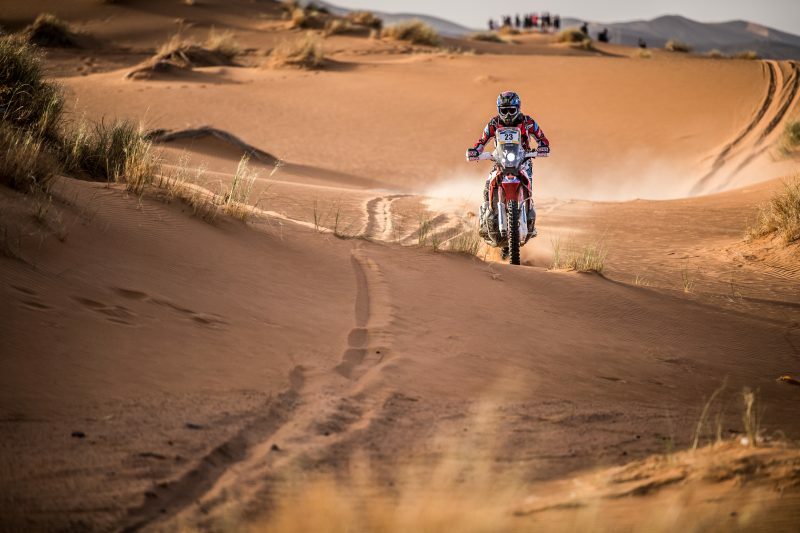 I continued with a fairly calm pace and toward the end there was a complicated part of navigation where a lot of the riders in front couldn’t locate. 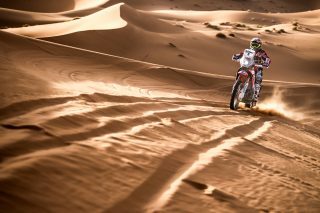 I kept up a good pace and I hope to keep it in the final stage tomorrow. The team is very focused and determined to get the best possible result. 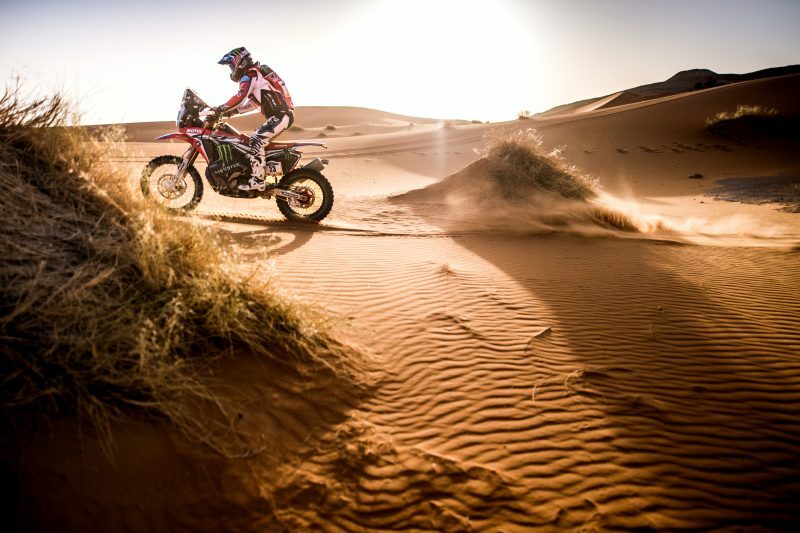 It was a day in which we tried to control the race, but in the end it was more complicated than usual. We had difficulty finding a waypoint seven km from the finish line. We were there, at the point, but it just didn’t seem to add up and we ended up spending forty minutes to find it. 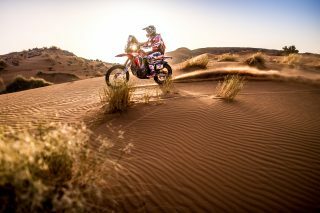 Other riders arrived and in the end we found the position. We believe there was an error in the roadbook note. We were able to save the day despite losing some time and we’ll have to see what happens in the end. Tomorrow is the final day. The second day of the marathon went pretty well. 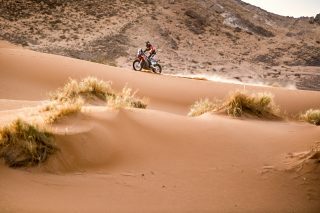 I like this terrain a lot more than the sand dunes, the rocky stuff is definitely better than the dunes. 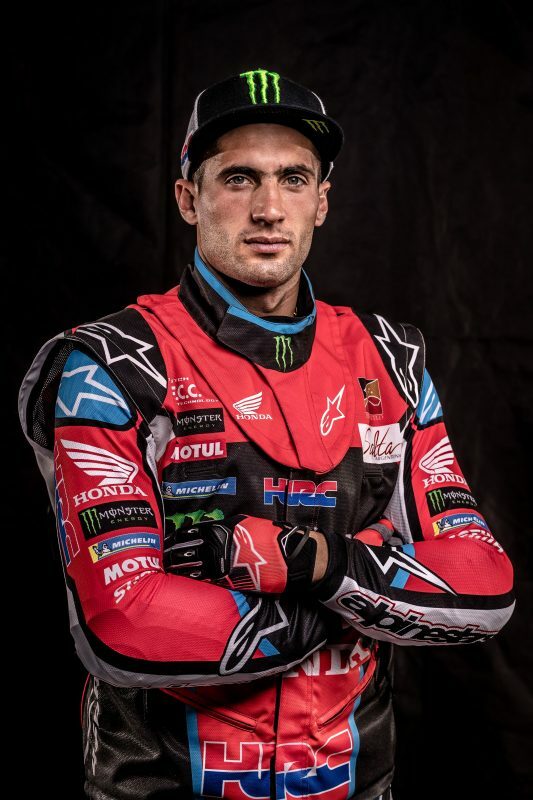 I felt good today and rode well. I caught the rest from the speed and the navigation. I made less mistakes today and that paid off very well. 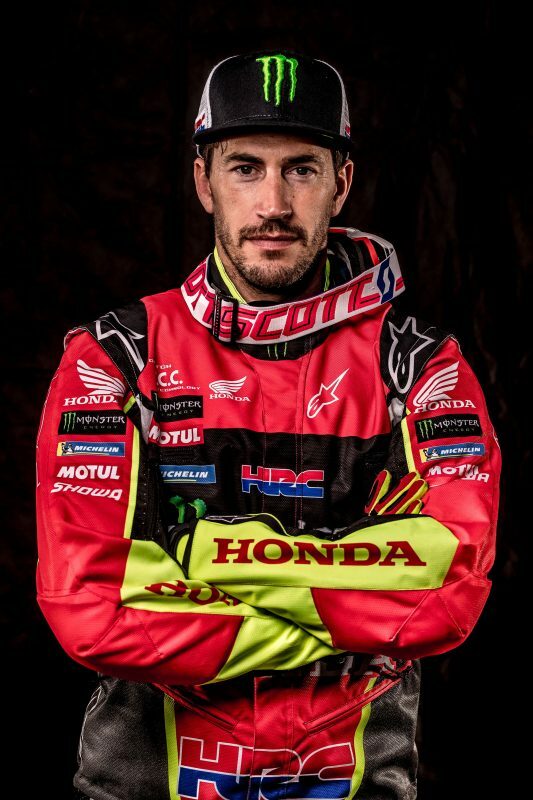 I’m looking forward to tomorrow which is a mass start. I’m happy to be here and ready for the final day. It was a hard day for me. I had a hard time concentrating. 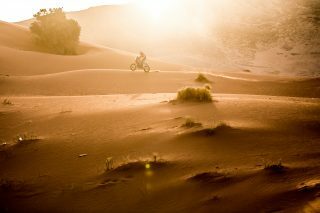 I made a mistake in the roadbook and I got lost, losing a lot of time. I struggled to find the pace again, but I was finally able to recover a little, taking advantage of the navigation mistake that everyone else made. 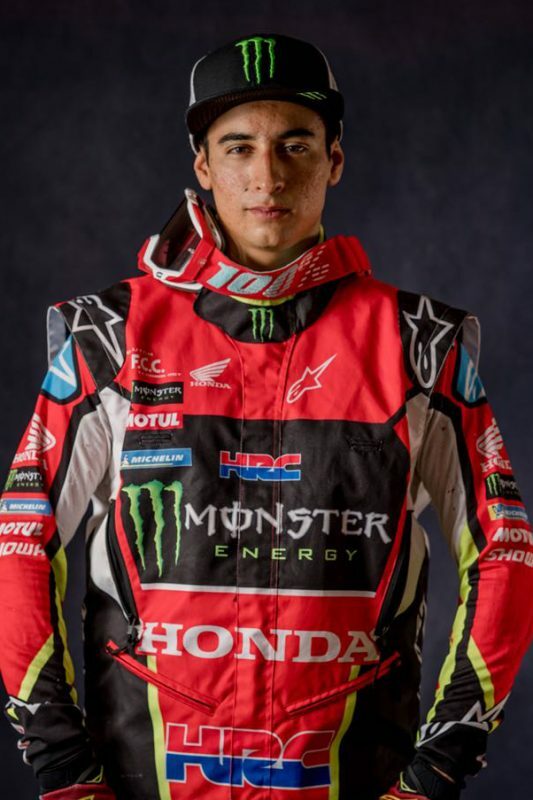 I think I can improve, we have to learn from both the good days and the bad days like today even though I did climb a position in the general.